Come celebrate the birthday of Lord Ganesha. Ganesha is a popular God, seen as the God of Wisdom, the bringer of luck and the clearer of obstacles. Before any journey, any ritual and any major venture, Ganesha is first called upon and worshiped. He is the protector of knowledge, books and education. There are several stories about Ganesha’s birth as the child of Siva and Parvati and about the origin of his elephant’s head. Ganesha is worshiped by Hindus, Buddhists and Jainists alike. Ganesha represents the Remover of Obstacles. He is the most beloved deity, even in the west. During the celebrations of Ganesha Chaturti (his birthday) , there will be a special ceremony (a puja) to Lord Ganesha at the Siva temple up at the Siva Hill where we have the murtis (granite statues)of the whole Siva family, after which there will be story telling about how Ganesha got his elephant head. We then gather everybody to do a clay Ganesha workshop , where everyone create out of their own imagination a form of Ganesha. We then worship the clay Ganeshas (traditionnally the festival lasts for 10 days in India) in a puja and at the end we go to the Yuba river to immerse them and let go of the form. Thus we remember that by remembering the Lord, all of our obstacles will be removed on our path in life and in Self Realization. 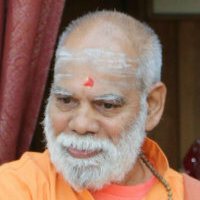 Om Sri Maha Ganapataye Namah! May Lord Ganesha bless you with Health, Peace, Long life and Prosperity! 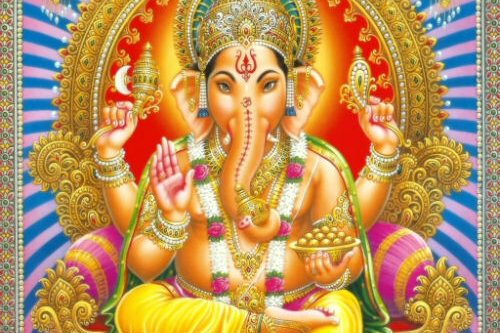 There will be puja and feast in honor of Ganesha. There will be chanting and kirtan for Ganesha. Donations, flowers, or prasad (sweet foods) are all welcome and encouraged. Followed by ceremonial precession around the Ashram grounds.